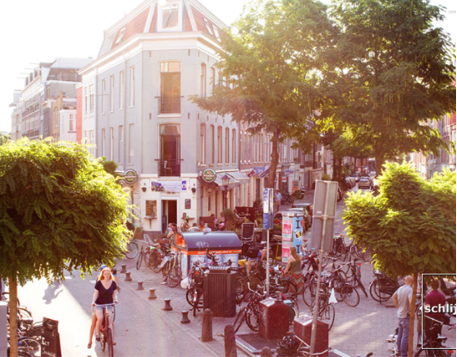 Much has been written about Amsterdam as the “cycling capital of the world”. 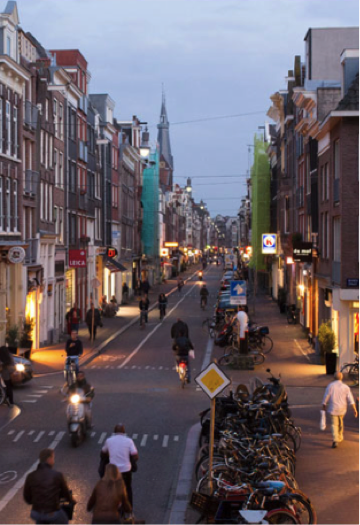 So what can other cities learn from Amsterdam on how to become more bike-friendly? During a short gig as a bike advocate in Vancouver, colleagues often told me it would be impossible for car-centric Canadian and American cities to emulate Amsterdam – a city with a long history and culture of cycling. That’s why – they said – it is better to adopt more realistic aspirations and look to North American peers such as Portland or Montreal, to see how to make Canadian cities more bike-friendly. This misses what I think is the most important lesson cities can learn from Amsterdam – that “bike-friendly” is not about “culture” but conscious decisions to prioritize one form of transport over another. Despite its history of cycling Amsterdam pushed away the bicycle in favor of the automobile following WWII, just like other European and North American cities that squeezed out pedestrians and trams in favour of cars. 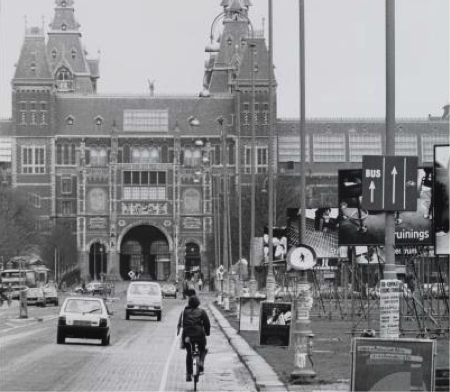 That Amsterdam would manage to bring back the bicycle was not so obvious a few decades ago. 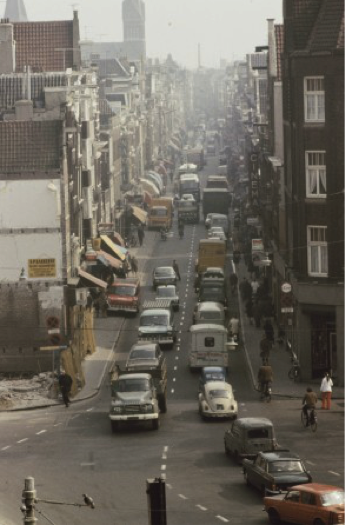 Between the 1960s and 1970s , the number of automobile trips in Amsterdam quadrupled, largely at the expense of cycling. Increased car use led to a surge in car accidents and fatalities. 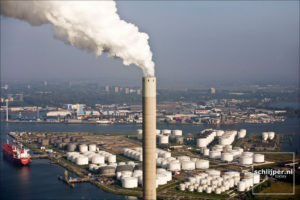 Protestors called for a more livable city with lower speeds and fewer cars, but change only came after the 1973 Oil Embargo threatened the country ‘s energy supply and economy, prompting Amsterdam’s return to bikes in an effort to reduce dependence on fossil fuels. Today, tourists and locals alike find it difficult to image that the city’s most beloved streets and squares were only a few decades ago dominated by cars and parking lots. Even fewer appreciate that this transformation faced fierce opposition. 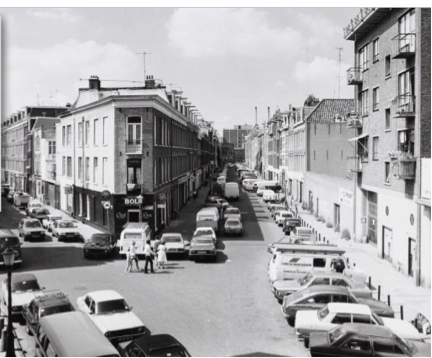 People opposed policies that restricted car access and made parking more expensive. 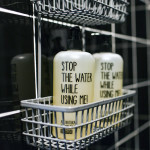 Business owners protested, claiming that less car traffic and parking spaces in front of their shops would threaten their livelihoods. But officials implemented a progressive, ambitious program of reducing car speeds, driving space and parking availability. Their vision transformed the city into the livable place it is today. Cars have not been banned completely, but the reallocation of space has made driving less convenient, in favor of pedestrians, cyclists and public transport. Too often I talk to people who seem to take away the wrong lesson from Amsterdam’s success. 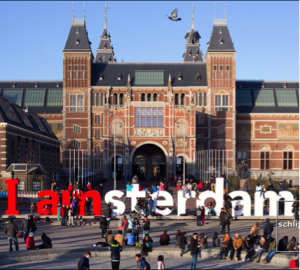 They think that Amsterdam is proof that the Dutch were born to bike as much as North Americans were born to drive. This couldn’t be further from the truth. 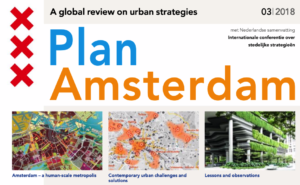 What Amsterdam can teach us is how malleable cities are – it’s in the allocation of space and design decisions that we build either car friendly or bike friendly – even human friendly -cities. My hope is that if more people know that Amsterdam has not always been bike friendly, they will see why their city can make the same change Amsterdam did. 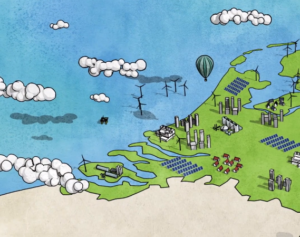 Watch this video on how the Dutch got their bike lanes, by Bicycle Dutch. Read Pete Jordan’s In the city of bikes for the complete history of cycling in Amsterdam (including the city’s love affair with the car).